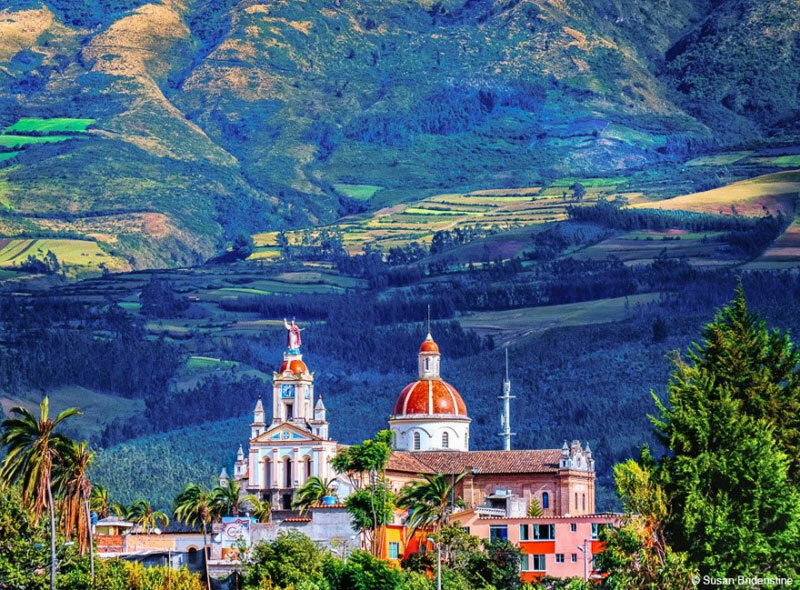 When relocating overseas, you may choose your new Ecuadorian hometown based upon your comfort level of temperature, scenery, personal interests, favorite activities, or preference in size and population of city. 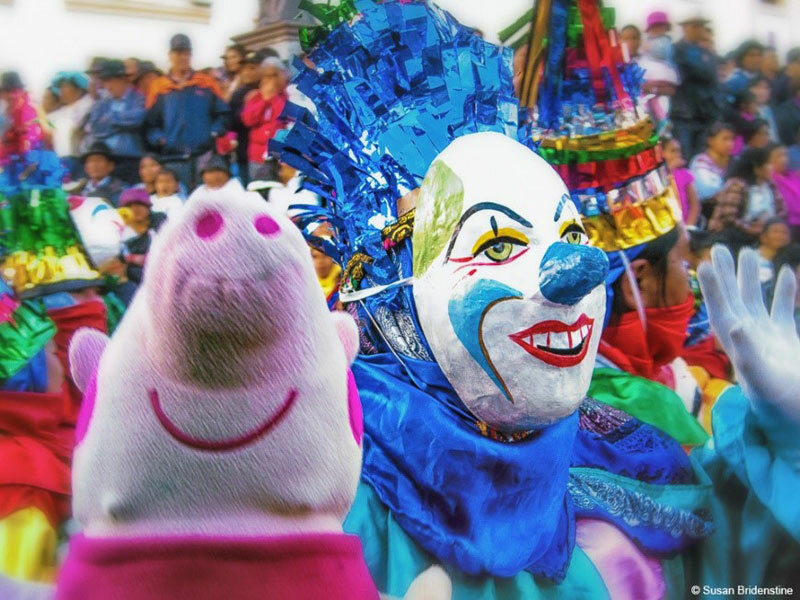 Ecuador undeniably offers enough variety to please everyone. After exploring various cities and a large portion of the country, my husband, Kim, and I chose cozy Cotacachi for our home. It just seemed to fit. Cotacachi provides spectacular panoramic views. 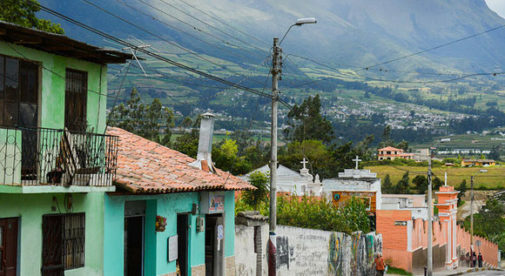 At 8,000 feet, the community nestles in a valley between two towering Andean mountains: Cotacachi and Imbabura. The lofty altitude combined with the proximity to the equator affords a consistently mild, year-round temperature between the 50s and low 70s F.
Produce thrives in the favorable growing climate and rich soil. Fresh vegetables and fruits, like strawberries, that are only available during a short season in the States are enjoyed most of the year. This growing environment encourages newcomers to pursue gardening and cooking. The abundance of low-priced, farm-fresh food offers the opportunity for healthy eating and savoring new gastronomic delights. Here are some examples of prices from Sunday morning’s trip to the mercado: a medium head of lettuce 25 cents, seven medium-sized tomatoes $1, 12 limes 50 cents, a dozen large eggs $1.50. Cotacachi’s small size doesn’t mean there’s nothing to do. In fact, I have to maintain a calendar of upcoming events. Mestizos and indigenous people, primarily Quichua, represent the majority of the local population with a growing number of gringos (foreigners in Latin America) from countries around the world. A large percentage of these expats are English speakers. This blend of people of various heritages encourages everyone to share in each other’s celebrations, making Cotacachi quite the little fiesta town. Semana Santa (Holy Week) is one of the largest celebrations, with processions and religious observances as well as music, art exhibits, and food. Family and friends prepare and share fanesca (a thick soup with several types of grains and beans) and colada morada (a spiced fruit drink) for this special occasion. Other celebrations include Inti Raymi, an Inca Festival of the Sun during winter solstice in June. This festivity includes the traditional, “Taking of the Square” where dancers from outlying communities compete for dominance of the town square. 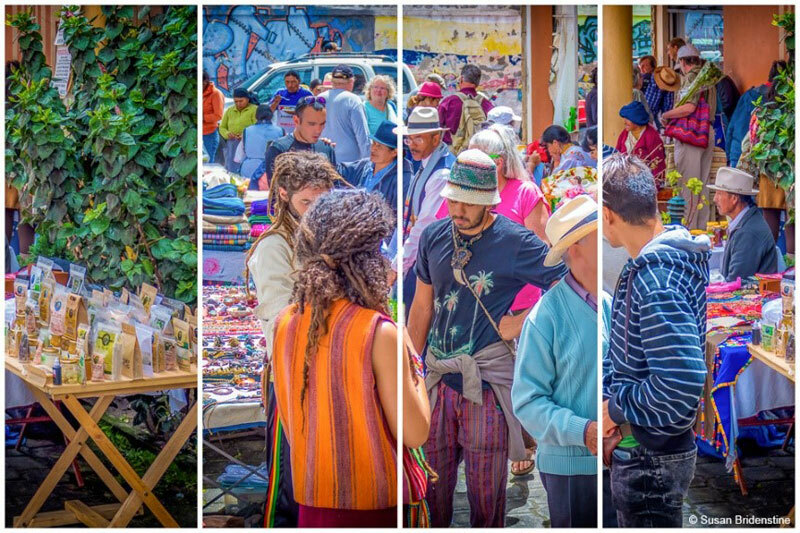 Mayu Raymi is a colorful celebration of planting when Indigenous women display their seeds and grains on the streets of Cotacachi during Feria de Semillas. Occasionally, expats crave conversation and the familiar flavors of their homeland. So, on Thursday mornings it’s the gringo invasion—when they come to town for breakfast with friends, conversation, and to shop for specialty items. Vendors strategically set up near the coffee and pastry shops to sell their wares of home-made breads, jams, cheeses, jerky, peanut butter, and smoked meats. One young couple raise chickens and pigs on their farm and sell their delicious artisanal meats at this venue. Their pork includes kielbasa, ham, and bacon. Pork sausages include brats, Italian, or chorizo for $5.50 per pound. They cure, then smoke their thick-sliced bacon that sells for $6.75 per pound. They also offer slow-smoked ribs for $7 per pound. Half or whole smoked chickens sell for $3.50 per pound and spicy cilantro chicken sausage is $5.50 per pound. Another venue holds home-grown organic veggies, flowers, and craft items made by voyagers funding their travels. Unique treasures can be found here while you enjoy a tasty breakfast with friends. During the week, specialty items can be found at Super Mercado where an enterprising young woman sells foods imported, mainly from the United States, to satisfy yearnings. For me, dill pickles and pretzels are must-haves. But her shelves are fully stocked with other delicious items like maple syrup, Dijon mustard, cashews, pistachios, and canned salmon and ham. Cotacachi is a small, pastoral town but what it lacks in size, it more than makes up for in friendliness. While most people in Canada are bundling up against the cold right now…and preparing for or enduring heavy snowfall and treacherous ice…Canadians Brian and Janette Sullivan are enjoying the temperate, weather of Cotacachi, Ecuador.